Welcome to Braden River Soccer Club! 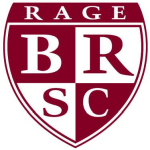 Braden River Soccer Club (BRSC) is a 501c(3) non-profit organization serving approximately 1,500 boys and girls in the Manatee County area. BRSC is governed by a volunteer Board of Directors that is supported by many volunteer committee members and coaches. The Club provides a professional staff that trains players in technical and tactical aspects of the game as well as strength and speed training. Last year, BRSC rostered approximately 75 developmental teams (recreational level) in age groups from 4 to 18 as well as almost 40 competitive teams in age groups from 8 to 19 years of age. The goal of BRSC is for every child to experience the sport of soccer in a positive and supportive environment at the level of play they enjoy. Braden River Soccer Club is located in beautiful Lakewood Ranch/Bradenton, Florida. Just minutes from world class shopping, fine dining, championship golf courses, best beaches in the US and located just off Interstate 75, our location is second to none. Our soccer complex sits on 42 acres and boast some of the nicest fields in all of Florida.